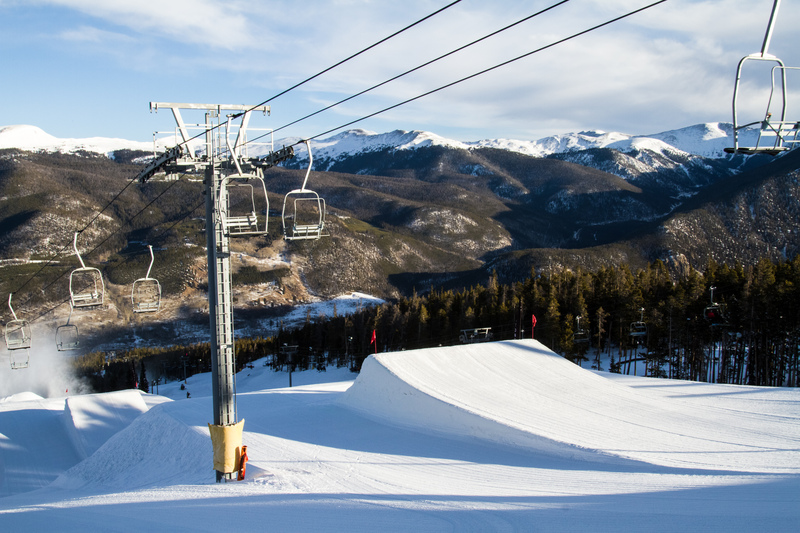 It is another beautiful day, and the snow Gods are continuing to treat us well here at Keystone. We have received over a foot of new snow in the past week and there is more in the forecast. Conditions are wonderful, and there is tons of fun to be had whether you are skiing in the outback, enjoying the tubing hill, or hitting the park. It’s been a while since we last checked in with the crew at A51, so today I took some time to talk with Terrain Park Supervisor Walker and find out all the latest park happenings. For all you park rats out there don’t forget to join us on Saturday, January 25th over at the Mountain House base area for the Volcom Peanut Butter and Rail Jam. This free event will included tons of prizes and free PB&J sandwiches. Visit www.volcom.com for details to register. Finally, we want to wish a big good luck to all of our athletes who are heading over to Breckenridge this weekend for the third Olympic qualifier of the season. Good luck guys!